Outhai Anuluck, or “Thai,” joined MandaLao just two months after it opened in December 2016. He grew up in the province of Oudomxay, in Donmueng village, moving to Luang Prabang at age 12. Thai entered the temple a year later and spent the next six years learning about Buddhism, how to live a Buddhist life, mastering English and finishing high school. He describes an important Buddhist tenet, which in many ways guides his life choices: Do good, get good. Do evil, get evil.” After leaving temple life, Thai took a position as a tour guide at an elephant camp in Luang Prabang. “I wanted to work with elephants because I was always very scared of them. I wanted to overcome that and understand the love that Lao people have for elephants.” And he did. “I began to love them very much. They are very smart, very amazing, you can hug them and they understand a lot about you.” Because of his concern for elephant welfare he wanted to work at MandaLao and interviewed for a guiding position. Michael Vogler was instantly impressed and hired him on the spot. A year later, Thai is a key figure in running the MandaLao office, managing two people, selling tours, arranging van pickups, guide assignments and much more. “The kindest man with the best smile. Thai always comes to work and brightens up the office with his great attitude and passion for elephants,” Roice Davis, one of MandaLao’s owners and Operations Director, comments. 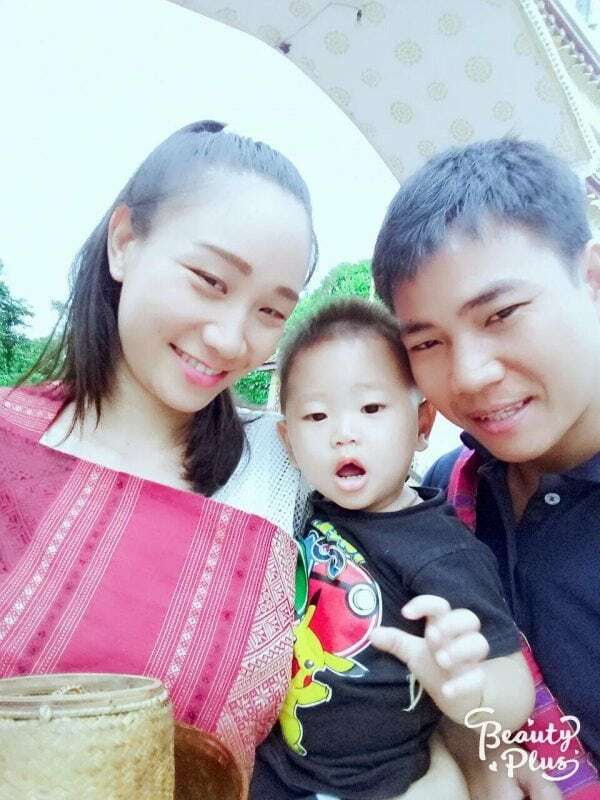 Thai and his wife have one little boy, Poopy, who is 18-months old and the light of their life – and of MandaLao’s staff, as well!